A passionate student of the sciences, when she’s not tending bar at the Pan, Hanna studies Biology and Chemistry at the University of British Columbia. 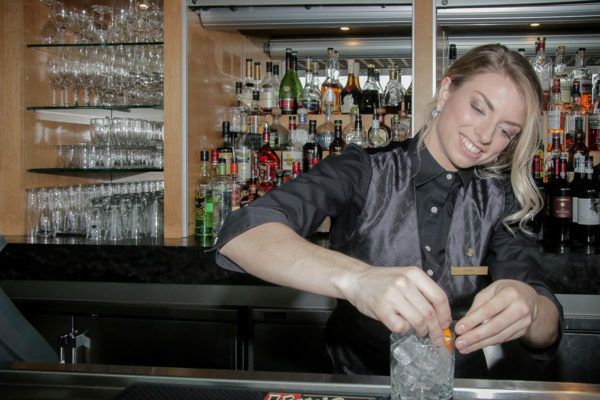 For her, being behind the bar is reminiscent of being at the lab, and her precision in crafting cocktails reflects the precision with which she would measure out an experiment. All this she explains, as she expertly twists an orange peel to adorn an Old-Fashioned. She laughs as she does so, explaining that she likes to get her twists “just so”. That tinkling laughter is infectious, and we’re all smiling along with her. 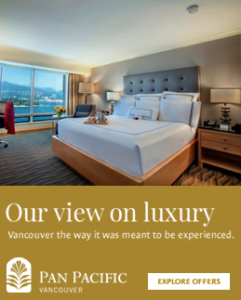 Hanna is a relatively new addition to the Pan Pacific crew, and though she started a mere two months ago, her easy manner and quiet confidence make her an old pro and a trusted teammate. You can visit Hanna at the bar most days until 6pm. Drop by to say hi and let her spoil you with one of her exquisite concoctions!